We all knew that the Cleveland Browns were not going to close out the season with a 14-game winning streak and that, eventually, they would lose a game. But when the end came, did it have to be in such a predictable fashion? 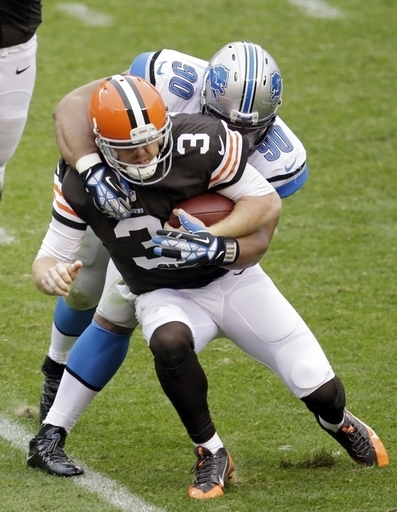 The Browns lost to the Detroit Lions on Sunday, 31-17, in the best example of a team loss that you will probably ever see. The loss ends the Browns three-game winning streak and, combined with Cincinnati’s overtime win against Buffalo, Cleveland’s share of first place in the AFC North. We have all the depressing details in our latest at The Cleveland Fan.